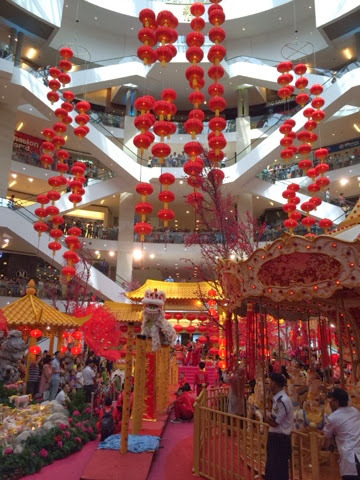 Year after year, malls in Malaysia would dress up their spaces with beautiful Chinese New Year decorations. However, our top favorite has always been Pavilion. 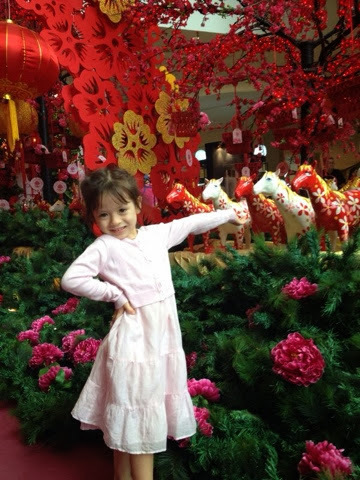 They dress up the place beautifully and they have scheduled lion dances which are impressive. 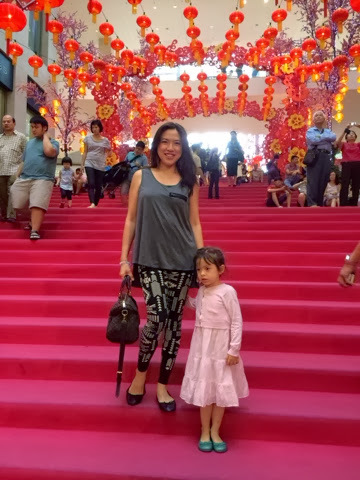 We always enjoy sitting by the staircase as we witness the lion dance on stilts. 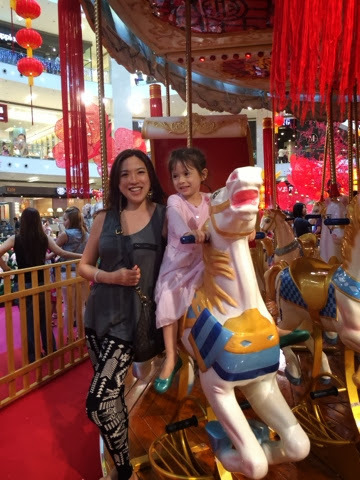 Last year and this year, my daughter manage to catch the mandarin orange thrown out by the lion itself. I consider that lucky! Two years in a row. There's always an impressive crowd on the weekends at Pavilion. 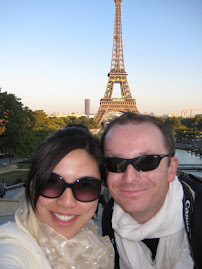 Despite the high tariff rates on parking, we still love going there. 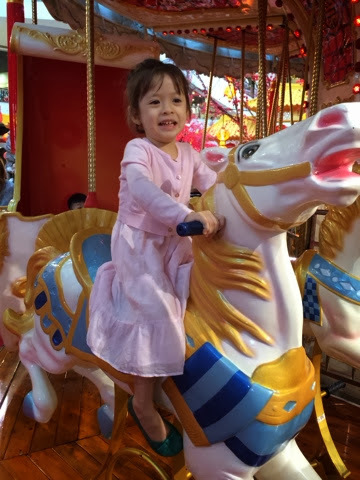 This 2014 CNY, they even added a merry-go-round, which of course made my daughter very happy. It made the trip to Pavilion all the more worthwhile. Next year 2015, for sure we will be at Pavilion once again. Curious what they will add on for next year, to make it more exciting for families. 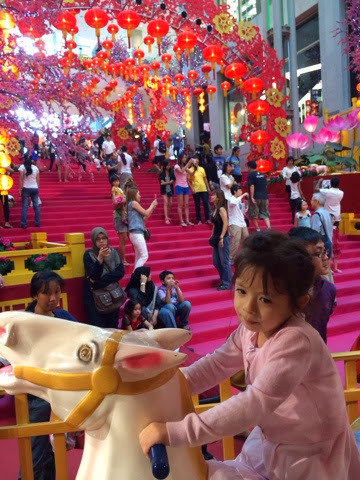 Meanwhile, Gong Xi Fa Cai and have a prosperous year of the Horse!